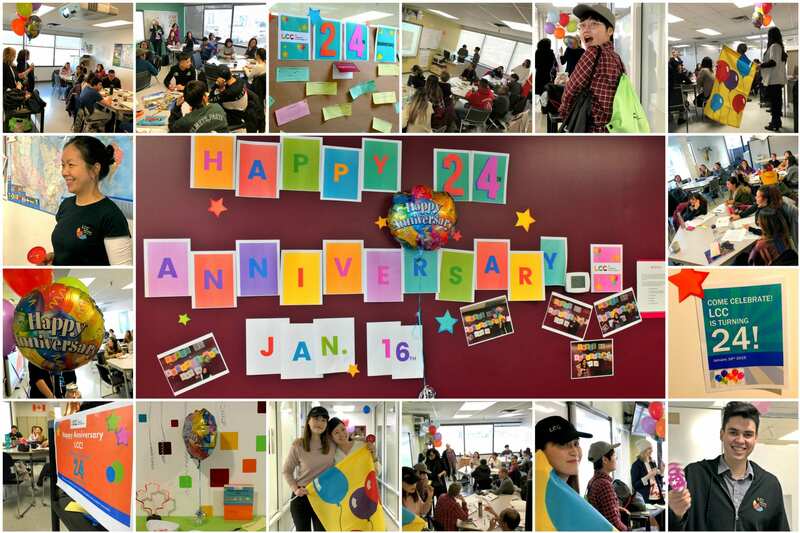 Today, The Language and Career College of ISSofBC celebrated its 24th anniversary! LCC hosted a number of spirited activities for its students and staff. Thank you to everyone who participated in today’s events and for helping to create more great memories! ISS Language and Career College of BC works with international students, immigrants and citizens improve their English communication skills. Based in Vancouver, Canada, our campus allows students to immerse themselves in the English Language experience while enjoying the city’s beautiful natural landscape and cultural hotspots. With a diverse group of students, dedicated teachers and helpful staff LCC creates a perfect environment for fun, creativity and learning. We are part of a non-profit organization which means all of our proceeds go back into our programs, and into our organization – ISSofBC, that helps immigrants build their futures in Canada. LCC offers flexible schedules which allows students to study part-time, full-time, mornings, afternoons, evenings or weekends. Whether you want to have fun in short-term courses, prepare for university or start your career LCC has the program you need.